More than 58 percent of Americans own a smartphone, reports Pew Research. With that many people carrying around such a powerful tool, it’s natural it is becoming a way to monitor health and get medical advice. 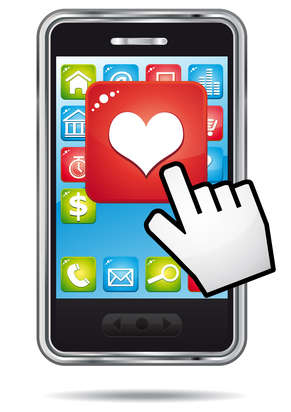 The Boston Globe recommends the Cardiio smartphone app as a conveniently way to monitor your heart rate. Download this app to your smartphone then press your finger over the camera or look into it directly. Your heart rate will be displayed and stored with the date and time. See your heart rate trend over time. Compare your heart rate to gender and age averages. Track your heart rate during exercise. This is not a diagnostic tool but can be helpful when talking with your doctor about your health. Withings has developed a blood pressure cuff that plugs into your smartphone. A soft cuff wraps around your arm and takes your blood pressure with the push of a button. The results are displayed on your smartphone and stored with the date and time. If you’re on medication to treat blood pressure, this keeps a handy record to show how effective it is. Create a profile for each member of the family and track their blood pressure. The Scanadu Scout collects various readings from your body at once. This small plastic device, when touched to your forehead for ten seconds, measures heart rate and blood pressure, temperature, oxygen levels, respiratory rate and ECG. This data is sent to your smartphone via Bluetooth where an app analyzes it. This device recently received funding from a crowdfunding campaign and is working to receive FDA approval. The makers are also working on the Scanaflo, a device to test urine samples. The Virtual Nurse app, developed by Harvard Medical School, analyzes your symptoms to determine if you need to see a doctor. This app is voice activated, like the Siri interface on the iPhone. You’ll be asked about your symptoms and given some possible actions to take for the condition. The developers say this app will cover many of the common ailments you might experience. While this might seem like science fiction made real, remember that this app is only as effective as its ability to match your symptoms with a database of illnesses. This app is not “thinking” and is not meant to take the place of a health care provider. For that, you still need to talk to a real doctor. While smartphones give you a way to collect and store information about your health, you can’t trust your health decisions to them. You still need to connect with a doctor or nurse to get an accurate assessment of your health. Services like MeMD connect you with a doctor or nurse 24 hours a day. Call from your home or office and speak with a healthcare provider licensed to practice in your state. Speak with someone on the phone or use a webcam for a face-to-face consultation of your health issues. Besides their own training and experience, these practitioners have access to an assortment of tools and databases to determine the best course of action for your situation. If a prescription medication is indicated, some of these online medical services can write an electronic prescription that you can fill at a local pharmacy.